If there is one food stuff I find hard to resist its pastry. Whether it be delicate and crisp puff or dense crunchy short crust, or a sweet sticky danish, pastry is my weakness. So with some steak and kidneys (the other half thought Devilled Kidneys would be a Sunday breakfast treat, I was apprehensive but afterwards I admit, I was somewhat impressed!) 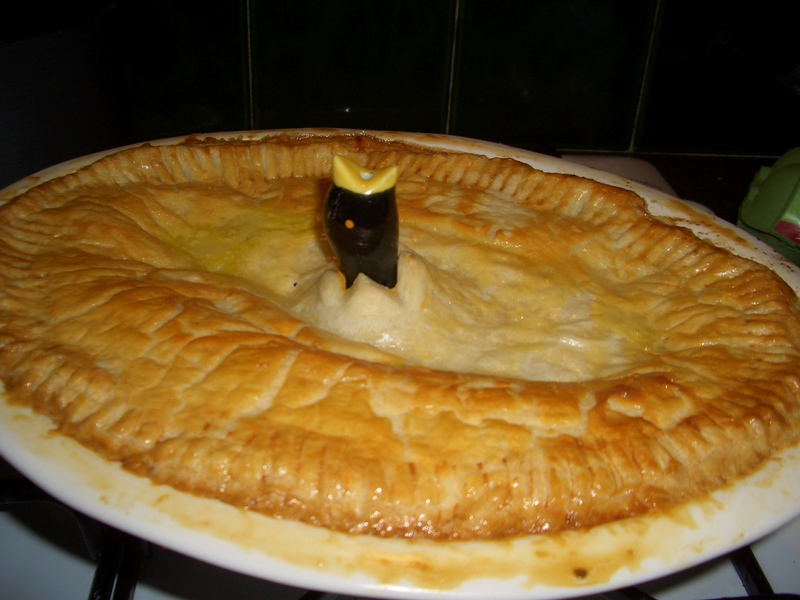 what better to make than a lovely pie in the new dish complete with Blackbird that older sis bought me for b’day pressie! 5. 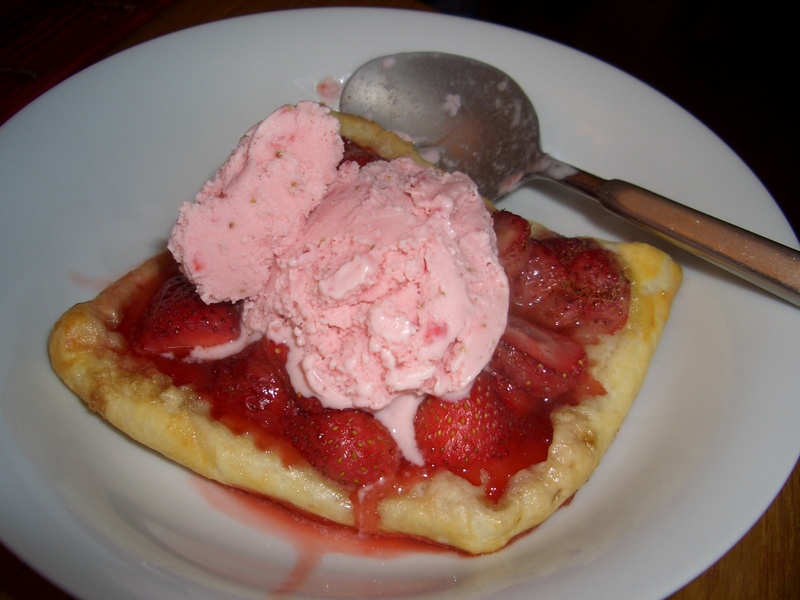 Serve with delicious home-made-ice-cream-maker strawberry ice cream. yum! Oof, I’m trying to detox this week but looking at those pics makes me waver! You filled me up a treat.